Tara Hitchcock is a multiple Emmy Award-winning TV personality and former host of the highly-rated Good Morning Arizona news program on 3TV. Under her leadership GMAZ was the No. 1 morning show in the market for 10 years running. Tara currently hosts "Behind the Screens" for Harkins Theatres (35 + theatres in five states) and appears weekly with her old friends on "Good Morning Arizona" with her "At the Movies" celebrity interview segments. Her 5-week special "REEL Travels with Tara" recently received three Emmy nominations. In addition to traveling and talking (and attempting to kiteboard), you can read Tara's periodic "Tara's Big Travels" lifestyle columns featured in Phoenix Magazine. Since 1983 Ellen has been active in the Scottsdale community. She and her husband, Ralph, are avid supporters of the arts. Prior to moving to Scottsdale, Ellen served as Deputy Mayor and City Councilwoman of Salem, Oregon, and simultaneously served in an executive management position; appointed by three consecutive governors. 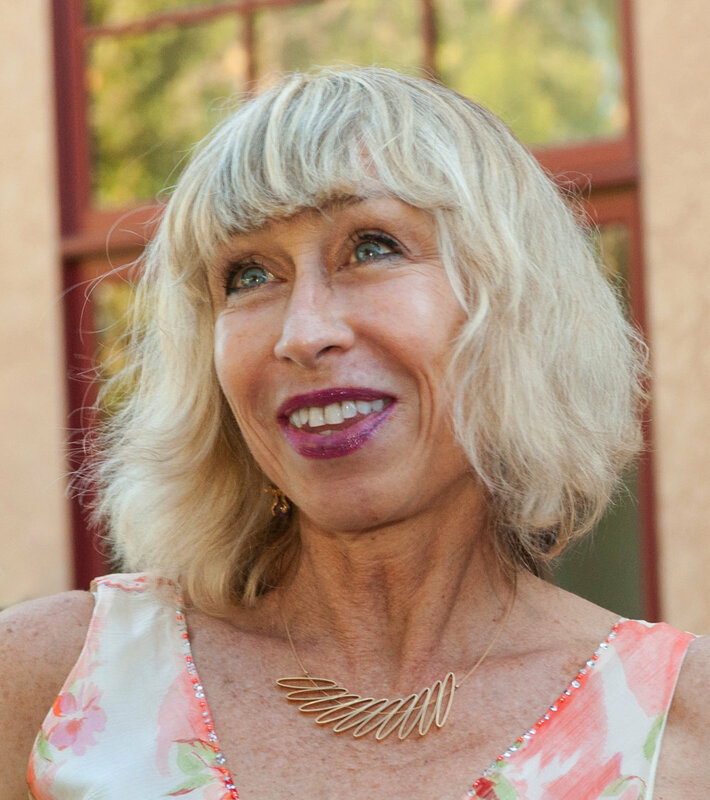 She currently serves on the Scottsdale Chamber Board, five Arts Circle Boards, Ballet AZ Gala, and is past chair of Scottsdale Arts Board of Trustees. Ellen has chaired major fundraisers, including four Scottsdale Arts galas, Scottsdale Chamber, Audubon Arizona, Scottsdale Culinary Festival, Julia Child 85th Birthday, AZ Food-Wine, Herb Drinkwater Retirement Party, and the Downtown Development Committee. She received the first Chairman’s Award from the Scottsdale Chamber for outstanding volunteerism in the Scottsdale Community. In 2006 she was named Scottsdale Woman of the Year and inducted into the Scottsdale Hall of Fame in 2010. With curiosity as the main impetus, Deborah Harse began exploring the world by bicycle in 1981 and continued to travel back and forth from her home in NYC to Europe, North Africa, Asia, and Latin America. Working mostly as a massage therapist, she'd save money and then set off, with her bike, to spend several months exploring another part of the world. In 1988 photography became the focal point of her travels and she developed long-term projects that resulted in several exhibitions. In 2005, after 17 years of shooting stills, she began shooting video and one year later produced and directed her first film, Marathon Beirut, for the Love of Lebanon. The feature length documentary won awards, found distribution and screened at over twenty festivals, including the 2009 Scottsdale International Film Festival. Her objective is to emphasize how our similarities outweigh our differences and to portray the dignity in human nature which prevails in societies around the world, despite ongoing adversity. A Miracle a Day is her fourth film. Official website: www.deborahharse.com. Madeleine Olnek is a New York City based playwright and filmmaker. She was awarded the Guggenheim Fellowship for Wild Nights with Emily, a comedy/drama about Emily Dickinson. The project was also awarded NYSCA and Jerome Foundation funds. Her second feature, The Foxy Merkins, included screenings at Sundance 2014, BAM Cinemafest, Lincoln Center, and a NYC theatrical run at IFP. The film had its international premiere at the Moscow Film Festival. Madeleine’s debut feature, Codependent Lesbian Space Alien Seeks Same, premiered at Sundance 2011 and went on to exhibit at MoMa, The Viennale, and the Festival do Rio. Nominated for a Gotham award, it had theatrical runs in LA and NYC. Madeleine has been commissioned by Dixon Place, the Atlantic Theater, The Actor’s Theater of Louisville, and the Public Theater. She is one of the authors of The Practical Handbook for the Actor (with a foreword by David Mamet), a widely used acting textbook. Madeleine graduated from NYU, with a BFA in drama, where she trained in the acting conservatory program. She holds an MFA in playwriting from Brown University, which she attended on a full merit-based scholarship and received the “Weston Award for the Arts,” which cited her excellence as a teacher. She received her MFA in film from Columbia University, where she was the recipient of a grant from Panasonic, for her work co-running the “Panasonic Kids Witness News,” a program which teaches under-privileged, inner-city kids how to make their own short films. At Columbia she was awarded the “William Goldman screenwriting fellowship” and the “Adrienne Shelly Award for Best Female Director." TOMORROW is the debut feature from veteran Script Supervisor, Martha Pinson. As a Script Supervisor, she has worked for major directors, including Martin Scorsese (Hugo, Boardwalk Empire pilot, Shutter Island, The Departed, The Aviator, Bringing Out the Dead, and New York Stories), Sidney Lumet (Prince of the City, Night Falls on Manhattan, Daniel, Deathtrap, and others), Milos Forman (Ragtime), Oliver Stone (Wall Street), Iain Softley, Andrew Niccol, and Brian De Palma. Alexandra Sells is a Berlin-based, German director, scriptwriter, photographer – and single parent. She was born in Hamburg in 1968. From 1988-96 she studied Fine Art/Photography at the Academy of Arts in Berlin. Alexandra received a DAAD scholarship for post-graduate studies at Goldsmiths College London (M.A. 1997). She did her post-graduate studies in Film/TV at the Academy of Media Arts in Cologne and made her first documentary, Das Avon Projekt/The Avon Project, a portrait of three British Avon consultants. Her first full-length documentary was filmed in 2005 and entitled Durchfahrtsland/Remote Area. The film was awarded with the 2005 “Prix Europa,” for best European low-budget TV documentary. When she was not working as a photographer and script consultant, Alexandra developed her first fictional script, Die Anfängerin / The Beginner. She researched skaters and skating at ice rinks, employed photographic research for the script, and single-handidly cast the film. Nearly half of the Berlin ice skating community is featured on camera in the The Beginner. Ondi Timoner has the rare distinction of winning the Grand Jury Prize at the Sundance Film Festival twice – for her 2004 documentary, Dig!, and her 2009 top prize winner, We Live In Public. Other award-winning features include: The Nature of the Beast (1994), Join Us (2007), Cool It (2010), and Brand: a Second Coming (2015). Ondi also received critical acclaim for her 10-hour, nonfiction series about the building of “the world’s most sustainable town,” Jungletown (2017), and for Viceland. Mapplethorpe is Timoner's first scripted feature, starring Matt Smith, which she wrote, directed, edited and produced over the last 12 years through her production company, Interloper Films. Mapplethorpe premiered at Tribeca Film Festival (2018) where it took home the 2nd Audience Award and was picked up by Samuel Goldwyn for theatrical distribution this fall. Ondi’s most recent career achievement awards include: The Rogue Award (Ashland Film Festival, 2015), The No Limits Award (Sarasota Film Society, 2015), The Auteur Award (Kodak, 2017), and the Maverick Award (The Audience Awards, 2017). She is the Founder & CEA (Chief Executive Artist) of A TOTAL DISRUPTION, an online network dedicated to telling the stories of entrepreneurs and artists who use technology to innovate the way we live. Subjects include Amanda Palmer, Shepard Fairey, Russell Brand and many more. Ondi is a member of the Academy of Motion Picture Arts & Sciences, the DGA, the PGA, the International Documentary Association, and Women in Film & Film Fatales. Arizona State University (ASU) - Enrico Minardi's interests include a comprehensive and interdisciplinary examination of Italian culture and society. In his essays on modern poetry, he pays particular attention to gender-related issues when focusing on female authorship. Enrico is a senior lecturer of Italian and French at ASU and has taught at Truman State University, MO; University of Wisconsin-Madison, WI; University of Indiana; Elon University, NC; and Duke University, NC. After a career in journalism, Emma Robertson side-stepped into television working first for the British Broadcasting Corporation, where she developed and produced the BAFTA- nominated, Heston Blumenthal’s In Search of Perfection. Stints at Britain’s Channel 4 and ITV followed where Emma combined her love of food, adventure and character-led documentaries to create Willie's Wonky Chocolate Factory, amongst other films. Emma left television in 2012 to explore her passion for documentary film. In 2017 she moved to Phoenix to follow the story of three professional female athletes. Scottsdale Community College (SCC) - Janet Robinson has been teaching film studies since 2000. With years of experience in the Los Angeles movie industry and her Master’s degree in education, Janet has taught foreign film abroad, ranging from silent film in China to Czech film in Prague, through the Education Abroad Program at SCC.